Going to the doctor can be a pretty scary experience—especially for kids. 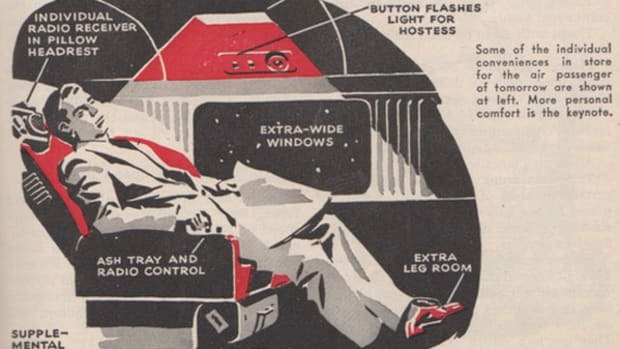 So back in 1963, inventor Robert L. Smeton had an idea: why don&apos;t we encase hypodermic syringes with cuddly animals so that children will be less afraid of getting their shots? 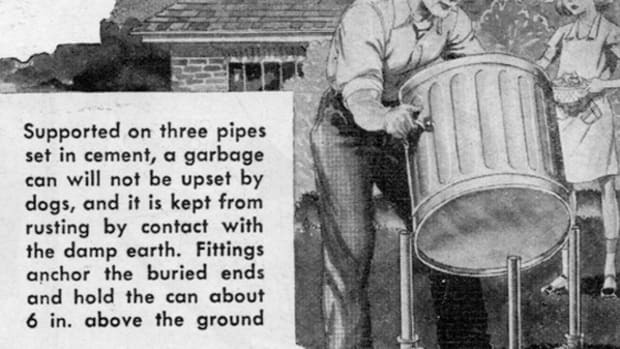 Smeton filed for a patent in 1963 and U.S. patent number 3,299,891 was approved four years later. 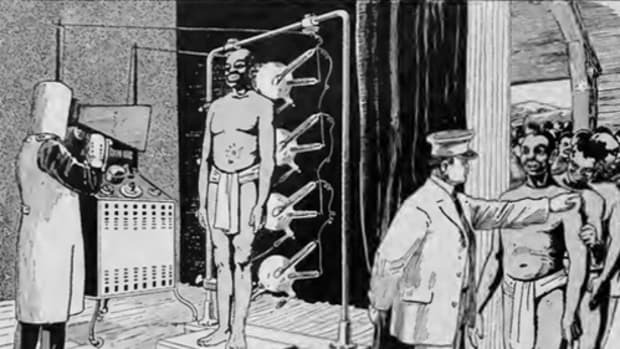 The latter half of the 20th century saw quite a few people trying to make a visit to the doctor a less frightening experience for youngsters. In 1989 Vickie D. Hull applied for a patent on a toy that could deliver liquid medicine to children. 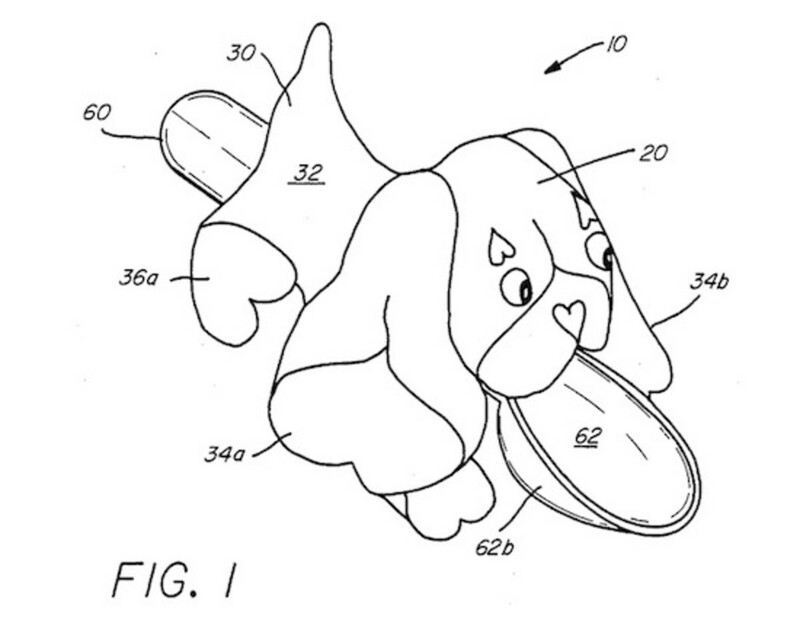 Below we see her puppy-shaped spoon, approved in 1990 as U.S. patent number 4,976,646. In 1990 Paul A. Burgio and C. Randall Nelms, Jr. filed for a patent (granted in 1991 as U.S. patent number 5,038,755) for their animal-themed otoscopes. 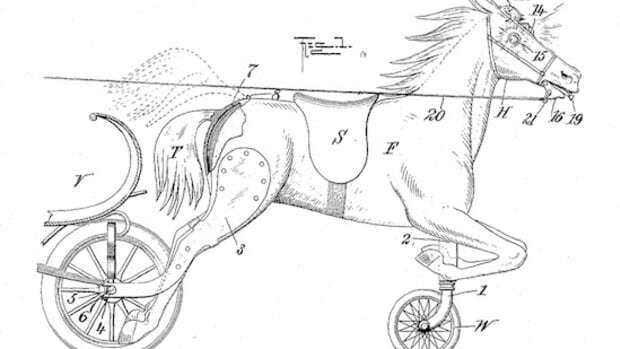 Their patent included over a dozen drawings of possible cuddly ear-inspectors, including bears, pigs, ducks, and deer. 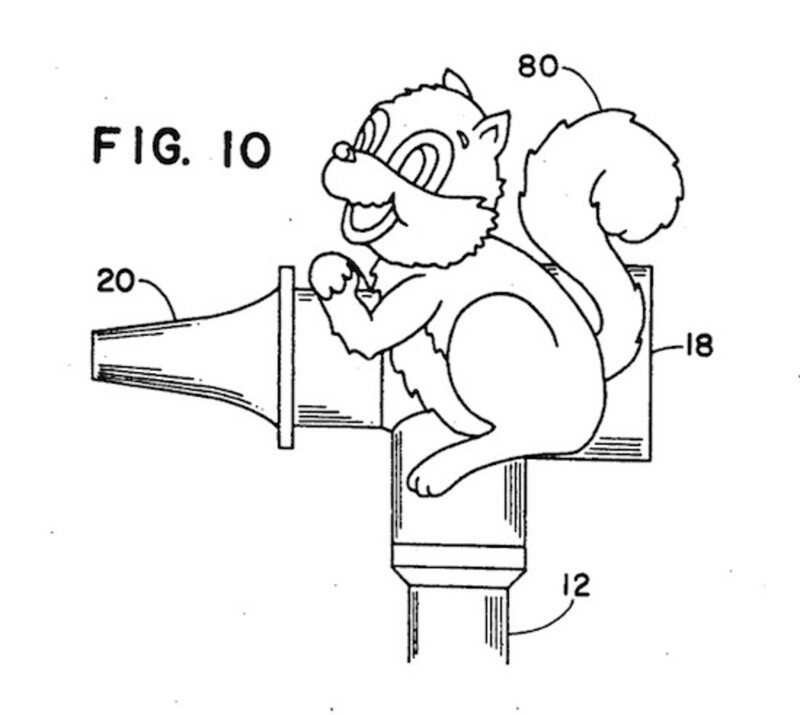 Below we see a squirrel from the patent application. 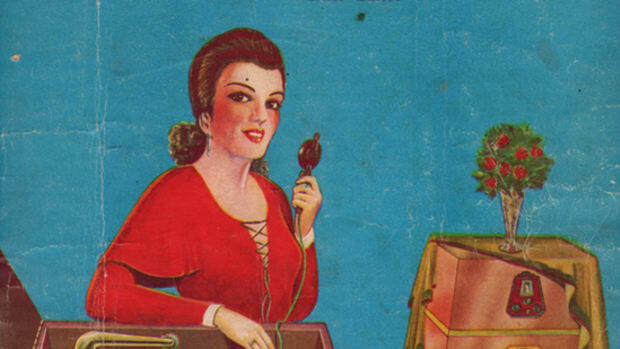 Josephine Varga had a similar idea in the early 2000s with U.S. patent number 6,761,564. As the patent application from 2002 explains, "Many parents have faced the difficult task of trying to use medical instruments such as medicine dispensers, tongue depressors, or thermometers with young children. In particular many parents find it difficult to give medicine to very uncooperative infants, toddlers and/or small children." 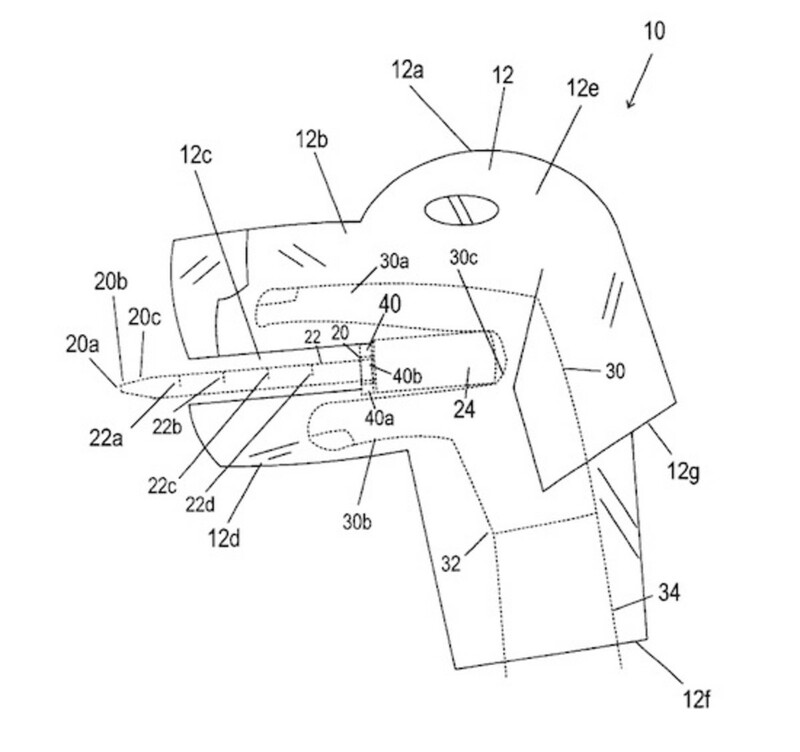 The patent app goes on to explain that a puppet which disguises the medical instrument may be just the trick for making the experience slightly more comfortable. 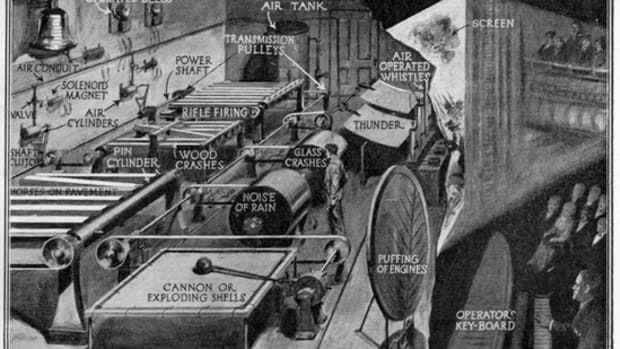 All of these various inventors obviously have their heart in the right place. Making medical experiences more pleasant for children makes a lot of sense. 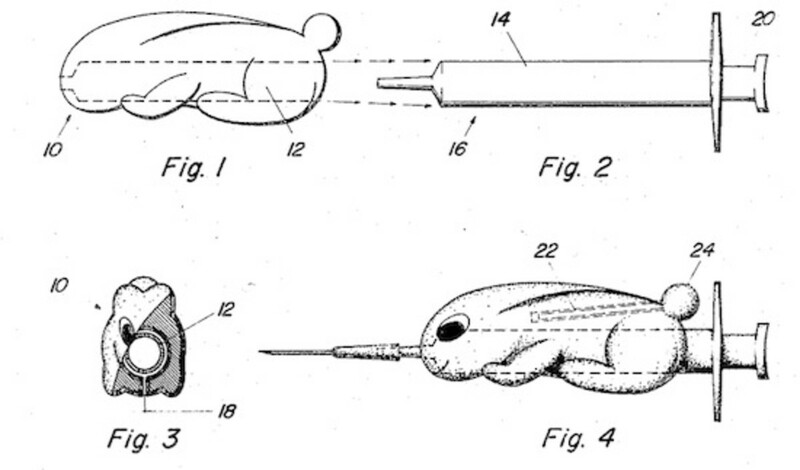 But in the case of a bunny that pokes you with a giant needle and a dog puppet that&apos;s ostensibly trying to shove its wooden tongue down your mouth, we obviously have a lot of work left to do in this field.